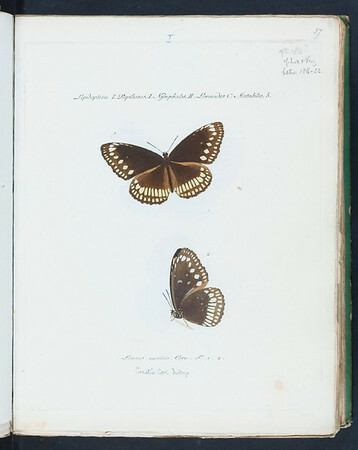 Hubner, Lepidoptera Exotica. Printed and hand-painted Butterflies. Papiliones, Sphinges, Bombyces, Noctuae, Geometrae, Pyralides, Tortrices, Phalaenae.